After enjoying a very mild start to winter, I sit here looking out my window at the white blanket left behind by the Blizzard of 2016. Yes, I think the cold, snowy weather is here in full force and won’t be leaving any time soon. I’ve spent my entire life living in Pennsylvania and enjoying the change of seasons. I always loved being snowed in and hanging out by a warm, crackling fire. 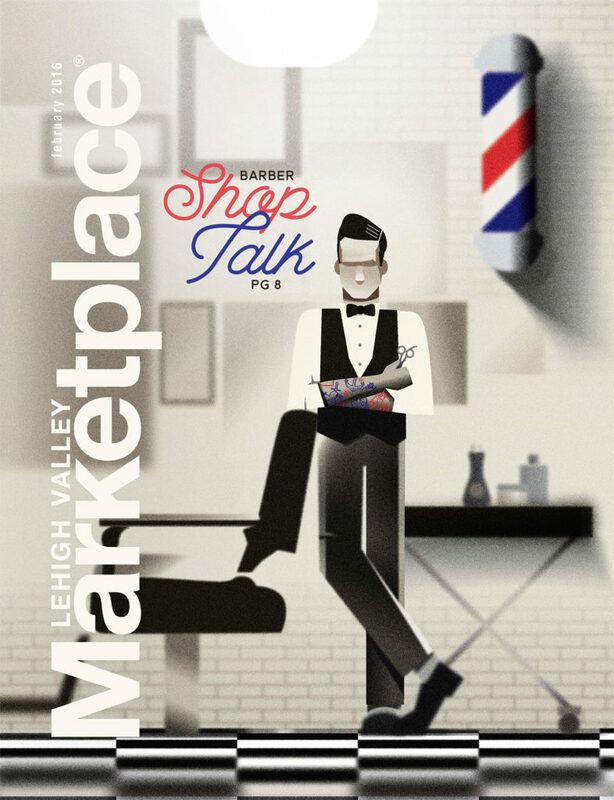 The only thing better than that on a cold, winter day, is a cup of hot chocolate and the most recent issue of Lehigh Valley Marketplace. Discovering the Lehigh Valley and all it has to offer is sure to warm you up. Flip through the pages of this issue and you’ll discover all the great shops, restaurants and points of interest that the area has to offer. You’ll find a variety of businesses, cultural experiences and organizations ready to provide you with unparalleled experiences. Take our local barbershops, for instance. You may think that these manly hangouts, where you meet interesting people with interesting stories are nearly extinct, but Frederick Jerant tells us where to find them. Check out page eight to find out why the next time you spot that familiar red and white striped pole, you should stop in. The Lehigh Valley is chock-full of remarkable talent. Max Meano, graffiti artist, executes complex, large-scale productions in locations along the East Coast. He is basically a self-taught artist who uses a variety of techniques to plan and carry out his eye-grabbing conceptions. His amazing story is told on page 30. If that’s not enough, and you’re looking for ways to cure your cabin fever, check out our calendar on page 58. You’ll find a list of art exhibits, theatre productions, concerts, non-profit events, and other local activities that are sure to keep you busy this winter.